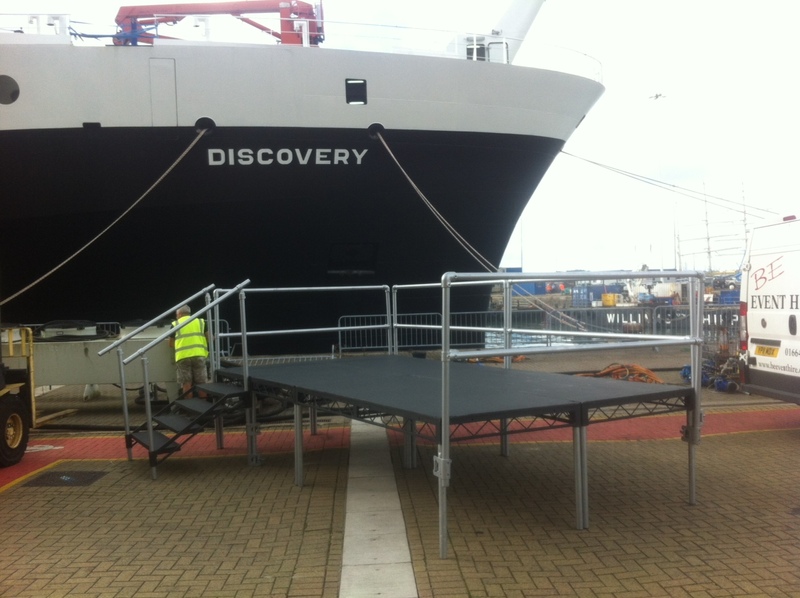 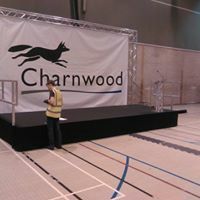 All our steeldeck stage hire blocks are 8 ‘ by 4’ (2.42m x 1.21m) in size and constructed from a steel metal frame and plywood top, all finished in matt black paint. 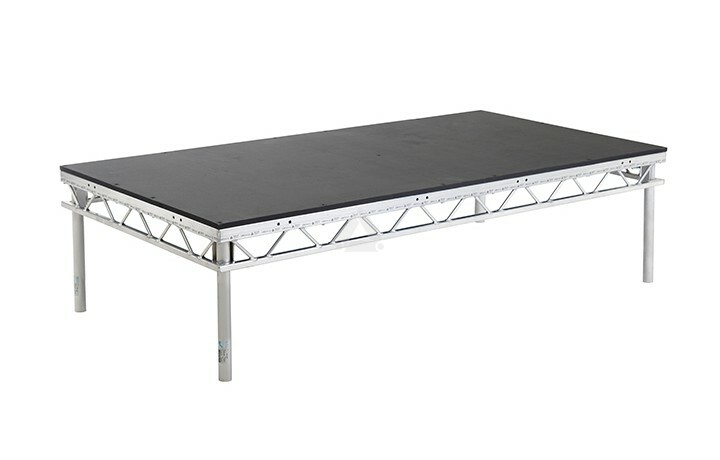 Included in the price are four legs which we offer in a variety of sizes (31 cm, 38 cm, 57 cm & 91 cm high lengths). 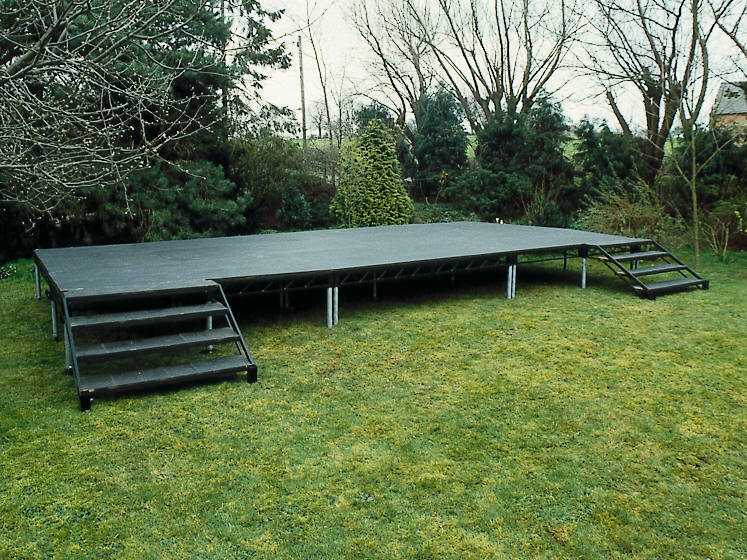 Please specify the height you require when you order. 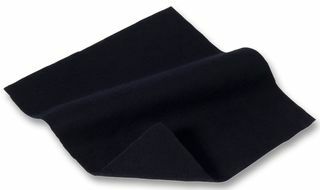 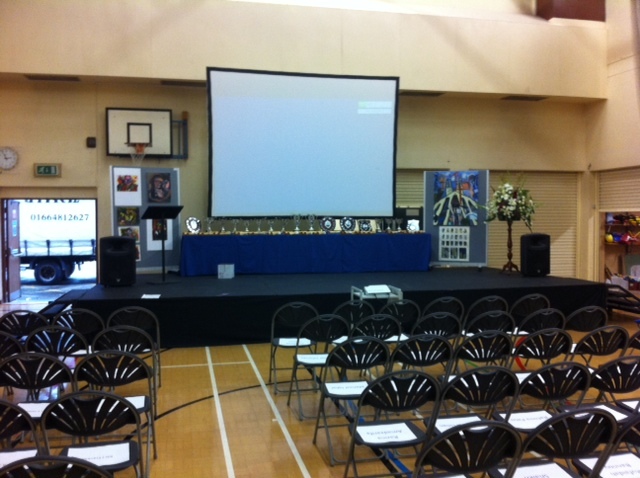 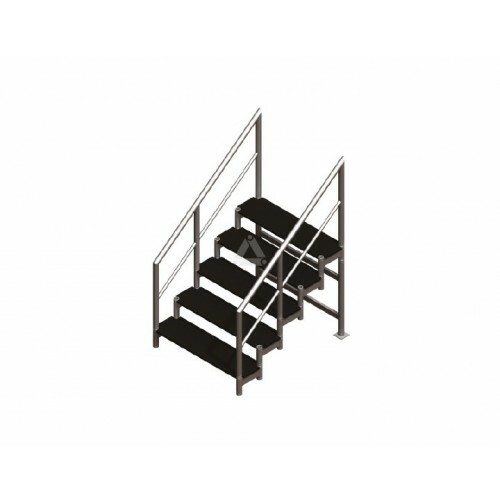 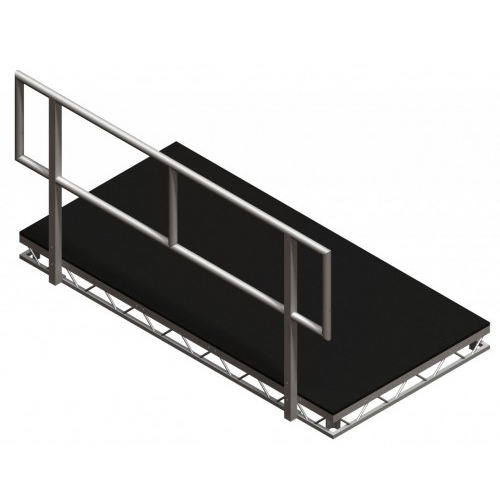 We also stock hand rails, steps and drapes to go with the stage if needed for improved appearance. 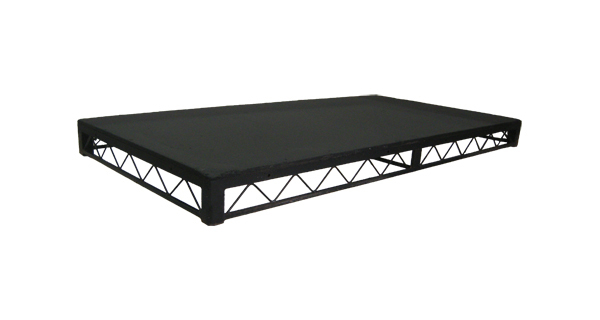 Prolyte Stageblocks, which is a lighter version of the Steeldeck stage blocks are also available in our stage hire range.